We gave 35 families, all from one rural Cambodian village, their own bio-sand water filter. We gave 35 families, all from one rural Cambodian village, their own bio-sand water filter. 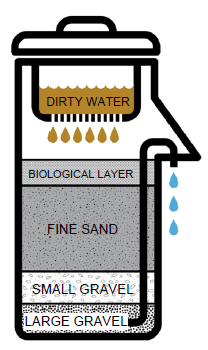 Bio-sand water filters are used to treat dirty water into clean drinking water. Overall, they're excellent against bacteria, turbidity, taste and color. They're also effective against viruses and iron. And if properly maintained, the filters can last for years. We then educated each family on how to use and maintain them the filters. The total project cost was $2,409, helping 35 families with about 70 children. Together, with the help of people like you, we're changing lives!